With SERVPRO it is imperative that we keep removed items in a safe location . So that when construction begins they have everything possible to match cabinet coloring so that when rebuilding, it looks as though you never had a water loss. It is also important to keep cabinet faces and old appliances as long as possible so that you have them for your adjuster. Keeping them indoor away from small children and from the elements outside is why SERVPRO makes all the difference. + Inhalation – Breathing contaminated air. 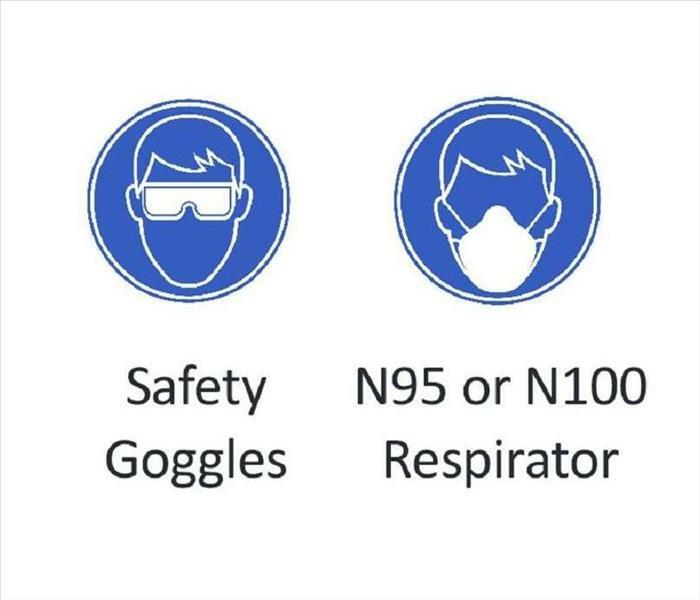 + Ingestion – Contaminated materials entering your mouth, nose or eyes. + Skin Contact – Contaminated materials touching your body and exposing you to illness. 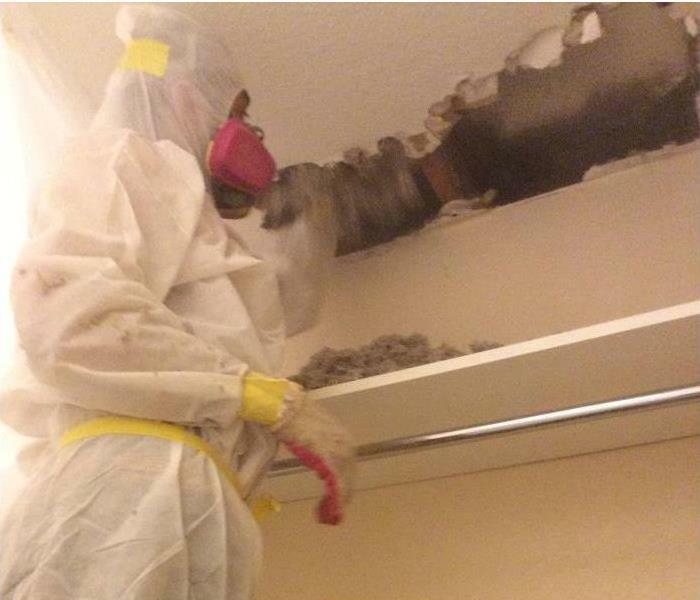 Containments are a vital aspect of our SERVPRO, but we don’t only use them for our mold jobs. 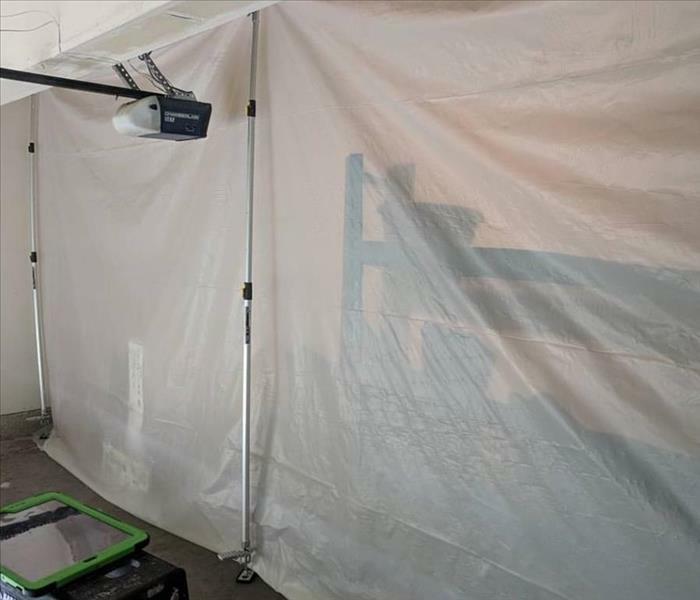 On our jobs we place temporary containment’s during our demolition, this insures we encapsulate any drywall or dust particles that could potentially get on other areas of your home. Once demolition is complete and we have throughly cleaned up our area we often leave it up to the home owner if they would like it taken down or left up per their preference. Keeping our customers happy is vital. 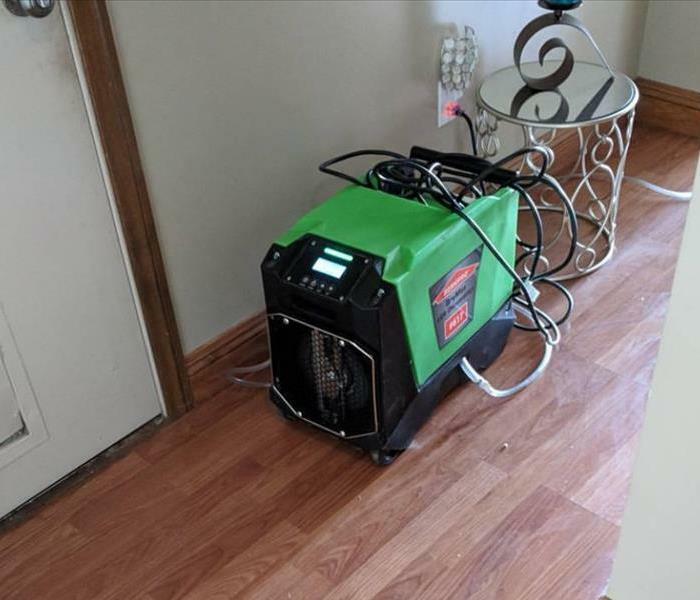 One important aspect of SERVPRO is that we greatly desire to protect your home, but especially your flooring. 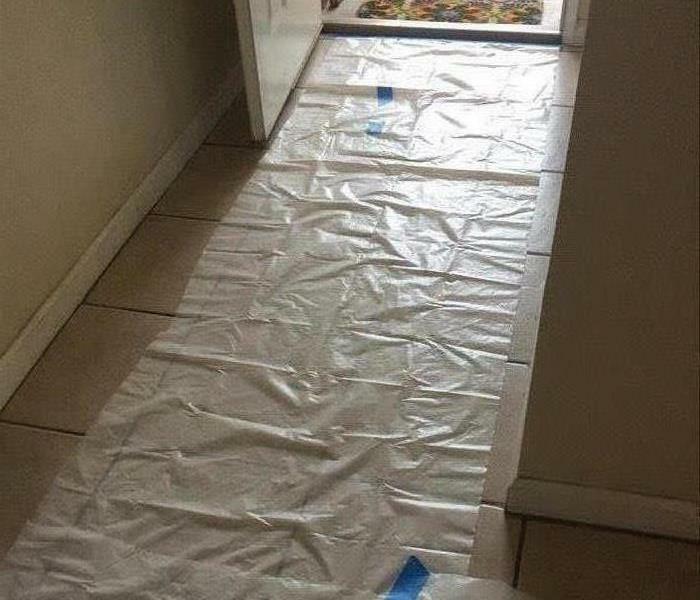 With every job we are able to assist you with we want to treat your home like it was our own, and though some aspects may seem small something as simple as placing plastic in the walkways of your home protect it from damage but also keep it clean. Sometimes the little things are the biggest gestures. This non-profit office had water leaking pouring in from the door. Issues like this are not apparent until big storms come along. It is imperative to check all seals on doors and windows every season so that of cracks or seals are broken, it can be a quick fix instead of big damaging leaks. Even if water does intrude on your commercial job we are here to help in any situation. If your home requires extensive restoration or cleaning, SERVPRO Franchise Professionals can conduct an organized, efficient move-out to protect your belongings from further damage. 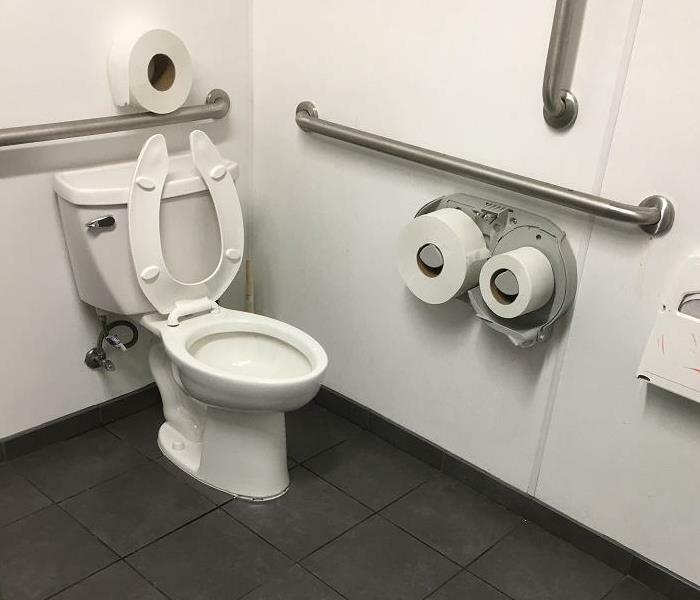 We are always here to help no matter how big or small the job might be! Highly trained technicians will begin the water removal process almost immediately. Depending on the amount of water, they may use powerful submersible pumps in addition to industrial strength, wet/dry vacuums. 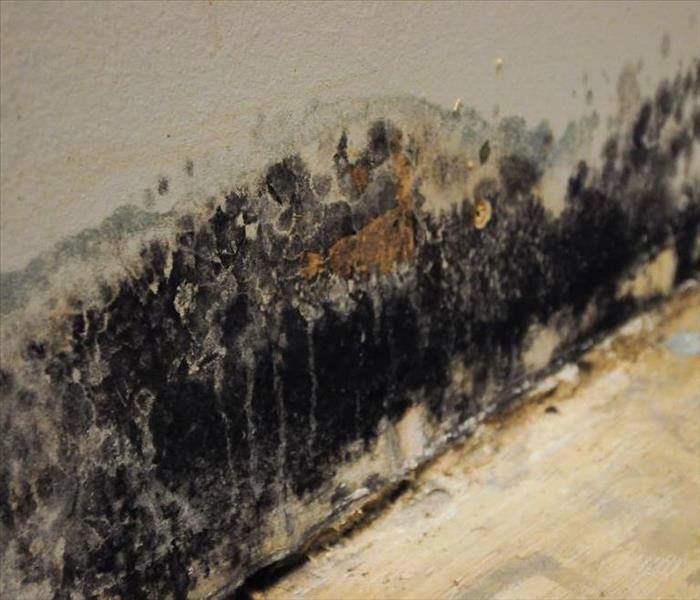 This step helps to reduce drying time and helps to prevent mold and secondary water damage. Kills 99.99% of bacteria in 30 seconds! 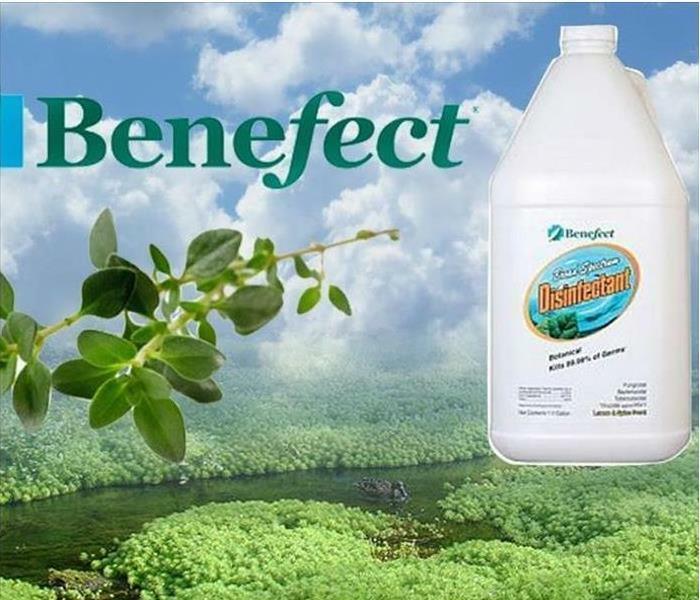 Botanical isn't just in the product name, or just one ingredient, we are the only ALL botanical formula in the industry. We formulate with whole essential oils, not synthesized copies of the chemicals found within the oils - we think the authentic way is the right way! 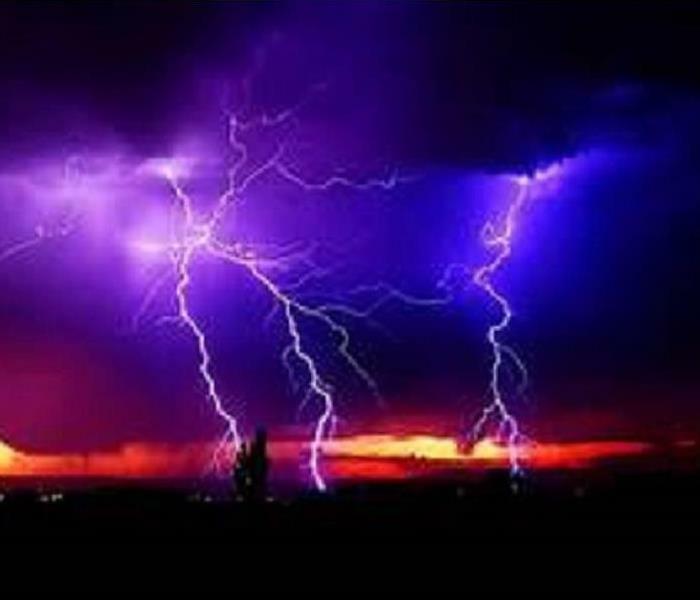 Storms occur with little warning and can be especially devastating, so you’ll need the company that you can trust to rise to the occasion. 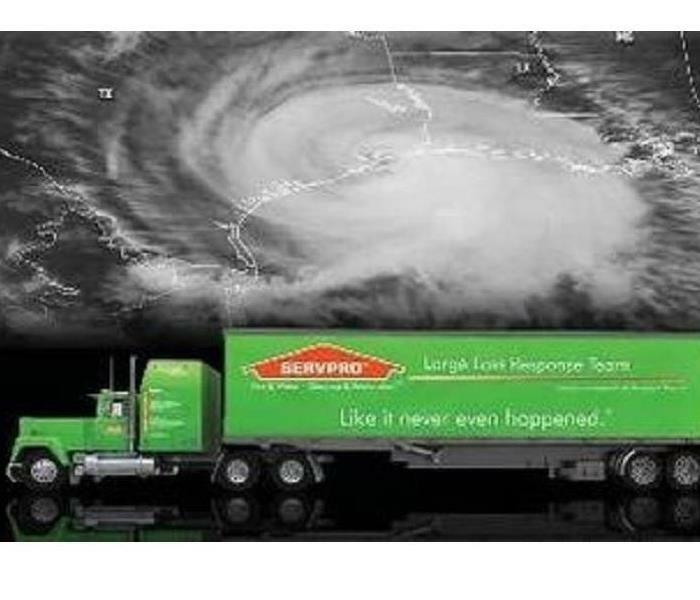 Regardless of the type of storm, SERVPRO Franchise Professionals can handle any size disaster. During catastrophic storms and major events, our Disaster Recovery Team can respond quickly with additional resources. We got a commercial job to come and assist a Walgreens off Bear Valley Rd in Hesperia in cleaning their stalls. We were happy to assist and make the place look like brand new. Flood in an large office in Corona in the middle of the night is nothing SERVPRO can't handle. We were able to extract all the water from the structure as well as place dehumidifiers and air movers to dry this structure. This office had a huge upstairs flood, the water intrusion originated from a small leak from the supply line in a water filtration system. Unfortunately the wooden furniture was not replaced and remained in one of the offices resulting in a small area of mold. 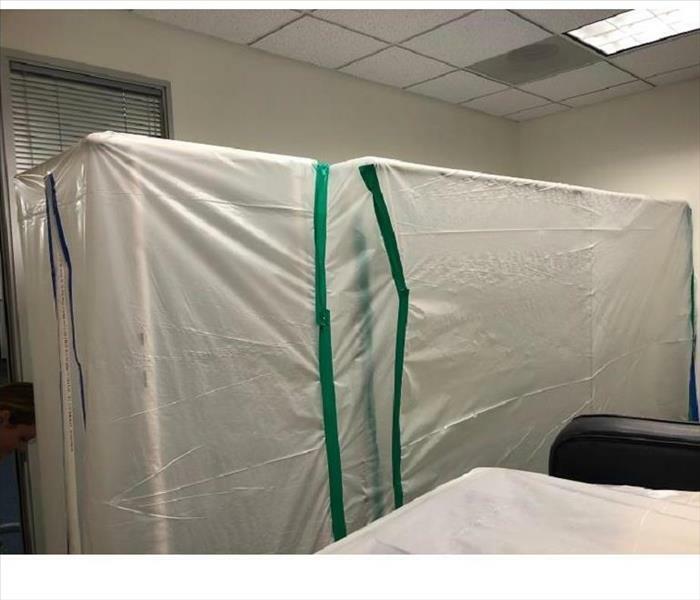 Our team came right out and was able to create a containment so that we could efficiently clean the area without further contaminating the rest of the office. Once we received clearance and the furniture was replaced, this office could go back to business as usual. 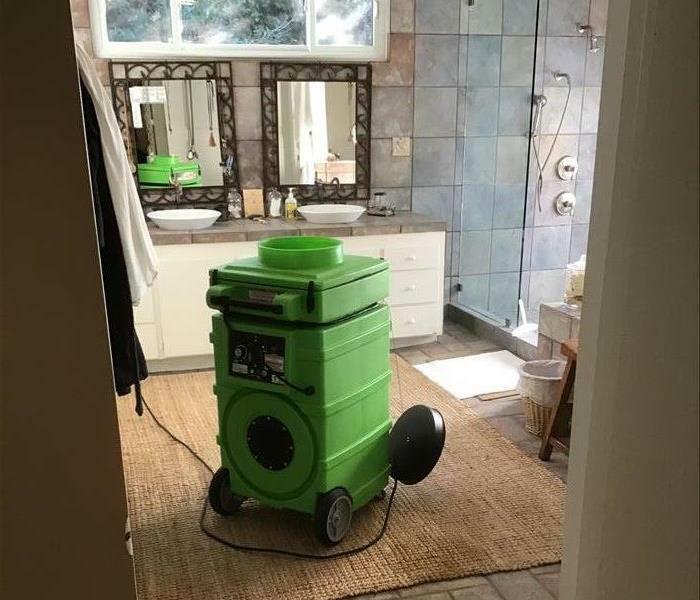 With the recent fires in Malibu, nothing compares to the power of a hydroxyl generator. When created in an atmosphere where odor-causing chemicals are present, hydroxyl particles decompose them. They are often referred to as a ‘natural broom,’ because they ensure that indoor environments contain very low levels of these chemicals. Hydroxyl is particularly useful when dealing with unpleasant odors, due to its speed. It can break down as many as 5,000 different chemicals (including smoke). We have many products that will clean up and deodorize smoke damaged homes and items. For the heaviest smoke damage we have our go to Fire Star cleaning solution. It is one of the most effective cleaners on the market. It is great for product for brightening metals. It can't be used on everything so our technicians make sure to pre-test before using it on any of your surfaces. Like all of our products it is safe to use and effective. It can even be used with other solutions like our Wall and All Surface cleaner, and Wall and All Plus. We mainly use it for things such as range hoods and other areas that might have excessive build up and damage. It is just another tool we use to get your home back to preloss condition. "Scrubber" is a bit of a misnomer -- the machines don't really "scrub" anything. More appropriately, they trap airborne particles through their filters, allowing filtered air to pass through the machine and re-enter the breathing environment. It's really the same concept as a water filter under your kitchen sink. A water filter removes unwanted particles from your drinking water. Chemical sponges are for removal of dry dirt, dust, and dry smoke soot residues. Our SERVPRO team uses these sponges on all of our fire jobs while cleaning. If our team needs to reach high ceilings we have poles that hold the chemical sponges up high so we can reach those areas. 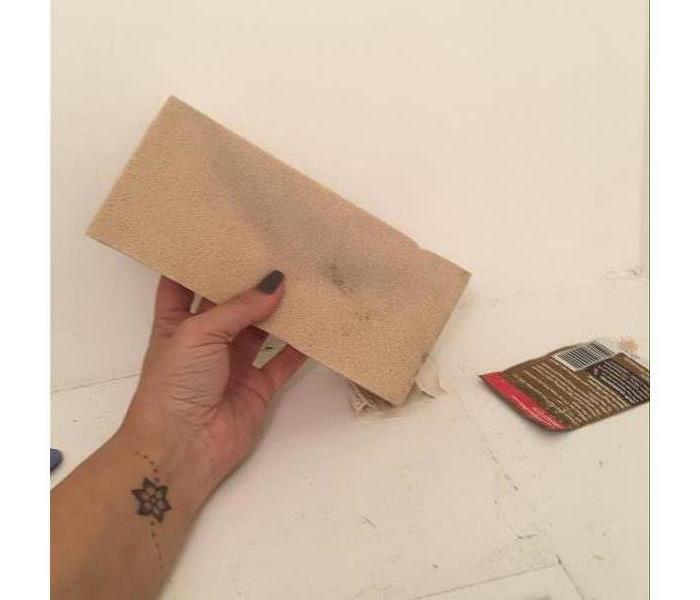 This is a very good way to get soot residue off of walls and ceilings. You never want to wipe fire soot off with a wet sponge, it will only smear more! We use a dry sponge for that very reason. Although, chemical sponges should not be used with protein fires because it will only smear it more. Our technicians are certified in fire restoration and we have the perfect chemicals for any size job. The machine we have on spotlight today is this portable generator. It eliminates a variety of odors caused by animals, cigarette smoke, mold, and mildew, or fire and water damage. The machine generates ozone, which consists of unstable oxygen molecules (containing three oxygen atoms). Ozone chemically reacts with odor-causing molecules to oxidize residues and remove the odors. All people and pets should be removed from the environment during ozoning. Once the deodorization process is complete, ozone quickly reverts to the normal oxygen molecule, leaving no residues. Once the odor is gone, the results are permanent. 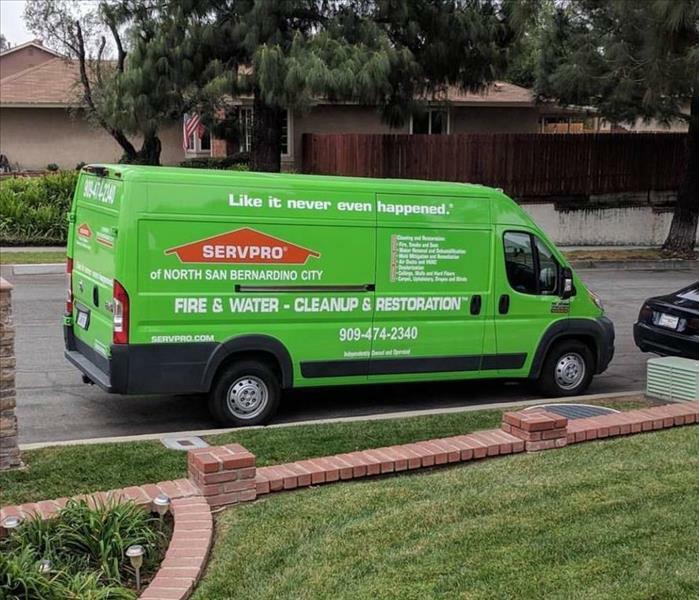 We are happily expanding here at SERVPRO of North San Bernardino city with our second beautiful truck. No matter what the need we are ready to help 24/7, with more trucks and equipment we are better able to serve our customers with any needs they may have.